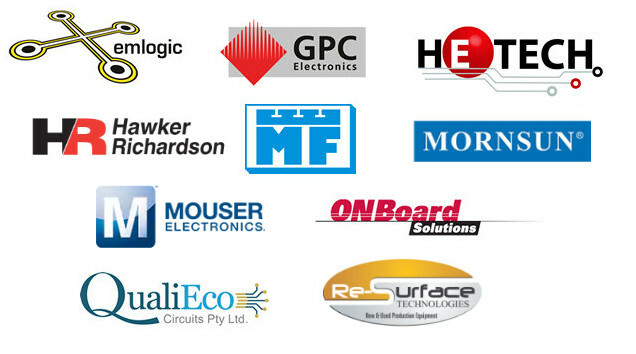 You are invited to attend Australia's only dedicated expo and conference for the electronics industry. The competitive future of practically every Australian industry sector is increasingly dependent on the utilization and integration of the latest electronics into all aspects of production, assembly, systems development, maintenance and service. At Electronex designers, managers, engineers, technicians, manufacturers and system integrators can discuss their specific requirements with industry experts and see, test and compare the latest products and solutions to help them in their business. The first SMCBA conference was held in 1988. Over thirty years on, the 32nd SMCBA Electronics Design and Manufacture Conference will be staged concurrently with Electronex. Information for the conference will be available closer to the Event. We would like to thank the following sponsors for their support for last year's SMCBA Conference.